Join us for our annual fair featuring rare, vintage and out-of-print books from independent booksellers all over Brooklyn, organized by Peter Miller of Freebird Books. 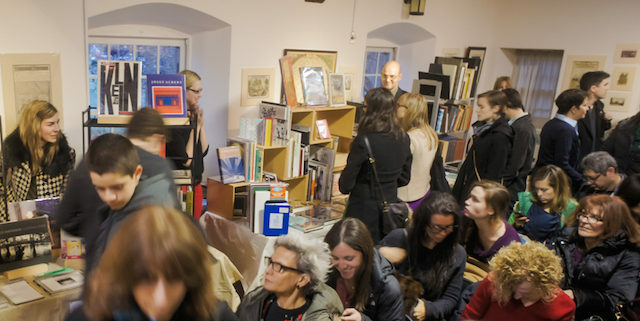 Honey & Wax, Unnameable Books, Terrace Books, Enchanted Books, Tom Davidson Bookseller, Brooklyn Books, and Presence NYC will be on-hand to help you jump-start your holiday shopping. Be surprised by books you didn’t even know you wanted! As a special treat, Jonathan Tarleton of Nonstop Metropolis: A New York City Atlas will also lead a walking tour along with Nate Storring (editor of the newly released collection of Jane Jacobs essays Vital Little Plans: The Short Works of Jane Jacobs) around the neighborhood explaining the layered legacies of Robert Moses and Frederick Law Olmsted in the borough, especially where Prospect Park and the Prospect Expressway sit in imposing proximity. Copies of Nonstop Metropolis and Vital Little Plans will be available for sale afterwards.